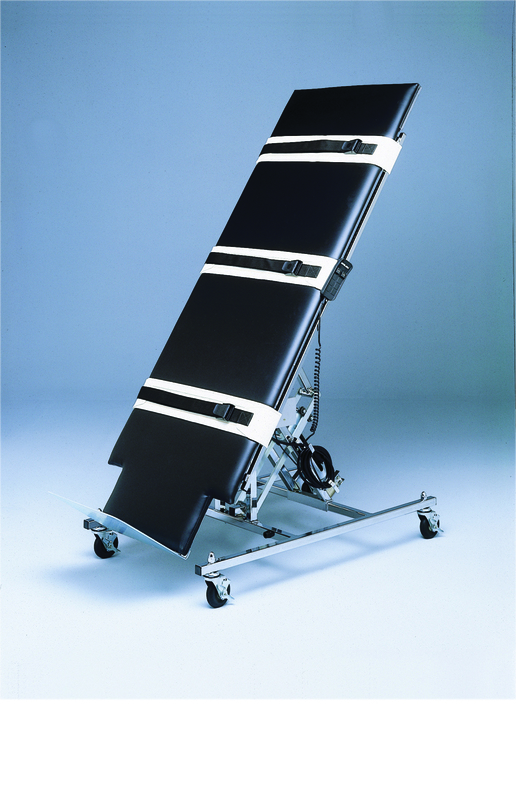 Built to meet the demands of high traffic locations, tilt tables can be used for early mobilization and weight bearing exercises for patients with profound weakness or low blood pressure. Tables tilt from vertical to 9 degrees below horizontal for multiple uses. Tilt Table - professional electric, upholstered, 28" x 78" x 32"
Tilt Table, economy manual, upholstered, 28" x 78" x 32"